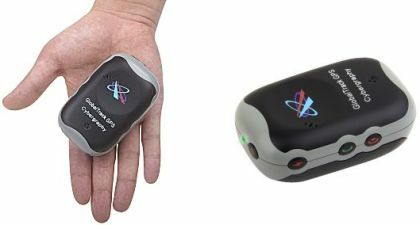 The Taiwanese manufacturer, Cybergraphy Technology has designed its new personal tracker which named as GlobalTrack G200P GPS personal tracker. As what you see in the photo, it’s a small-sized personal tracker with the ability to fit in your hand. According to the company, the compact GlobalTrack G200P tracker with very low power design can support the standby time for up to 2 months. It’s a really long period! This portable device comes equipped with an 160dBM high-sensitivity GPS receiver and an incorporated 3G motion sensor, aiming to track your every movement and stored them into its integrated 16MB flash memory. Other useful functionality on this 150 gram GPS tracker are 2-way voice transmission which used as a cellphone and even an emergency alarm SMS sender/receiver. What you need to do is just slot in your SIM card in this device and then you can do communication via its built-in microphone and speaker.